Small towns aren't for her, but he could be. Sloan Kent believes in justice, for all. Humans and shifters alike. But when she's assigned to a new, shifter-run, Supernatural Enforcement Agency squad, she's suddenly regretting being open minded. Small town drama runs wild in Bearden and she doesn't want any part of it. She's just there to do her job… until she meets Lorne Bennett, that is. Hard muscles ripple underneath his button-up, and that cowboy hat doesn't hide his piercing dark eyes. She knows better than to get involved with a bear, but the heart wants what it wants. 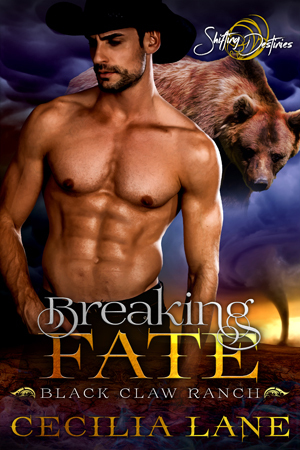 Even when the heart wants a broody shifter she knows is bad news bears, literally. He likes his women feisty and wild. Her having a gun is just a bonus. Lorne Bennett doesn't let anyone tell him what to do. Not his family, not his current alpha, and especially not some spitfire little human who thinks she's going to uncover all his secrets. He has good reason to keep those buried, and he owes those on Black Claw Ranch a debt for protecting his past. But Sloan seems different, like she could be the one to put his heart back together after all these years. Being with her could be dangerous though, for both of them.